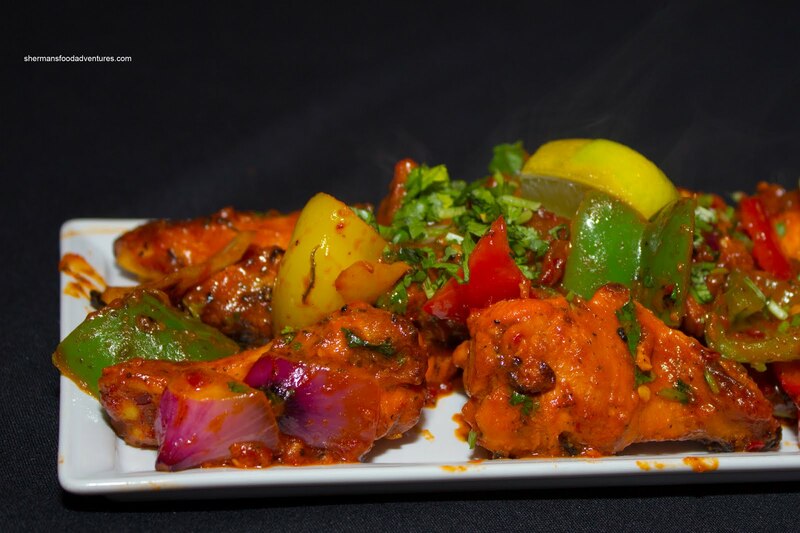 Not too long ago, Viv's co-worker raved about an Indian restaurant in Port Moody. That both piqued my interest and confused me at the same time. Well, that is not a stretch, Viv thinks I'm confusing in general. You see, I wasn't aware there was an Indian restaurant in PoMo and furthermore, the location didn't seem to ring a bell. However, when I met up with Rich Guy for eats at this mysterious Indian restaurant, it all made sense. When I pulled up to the place on Queens Street, it was very familiar. 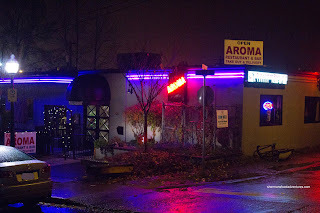 Formerly S Restaurant, then Hogan's, Aroma Indian Restaurant and Lounge is the latest attempt to make it work at this location. Well, at the very least, they have an existing following. They were formerly located on Coast Meridian in PoCo. Since S Restaurant was upscale, the decor remains modern and classy. When we arrived, the place was roughly a third full (and in fact past 9:00pm), but we were seated at a small table for 2 in a corner. We asked for a bigger table (which there were many) and were accommodated. I know this is being picky, however, it was confounding to us why we were seated at that table to begin with. Good thing we had a bigger table since we ordered a lot of food! We started with 2 of their Veggie Samosas and an order of Tandoori Wings. 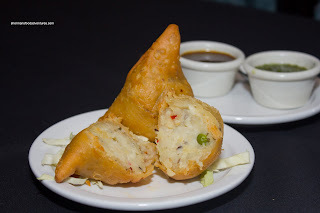 We liked the large samosas since they were crispy, not greasy and were comprised of a great tasting filling. There was a decent amount of spice, yet I would've liked to see more peas. As for the wings, the meat was still moist while the "sauce" was flavourful with only a slight hint of spice. I say "sauce" because the wings were pretty wet. For tandoori, that is a bit unusual. If they were more dry, they would've been better. 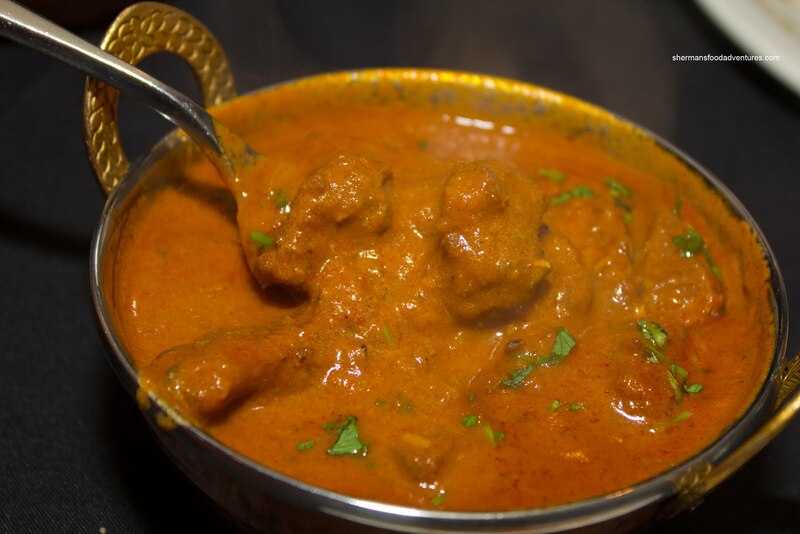 Of course we had to order the Butter Chicken as a baseline of sorts. It was full of big chunks of chicken which was neither dry nor moist - somewhere in the middle. 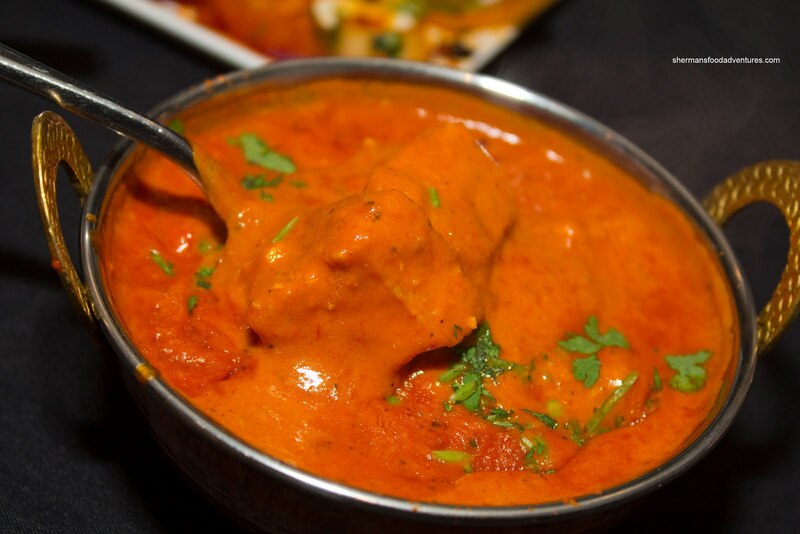 We found the sauce to be a touch too sweet and leaning towards the tomatoey-side of the butter chicken continuum. Despite the tomato paste slant, it was still sufficiently creamy. I would say it was decent. On the other hand, the Lamb Rogan Josh was more balanced. 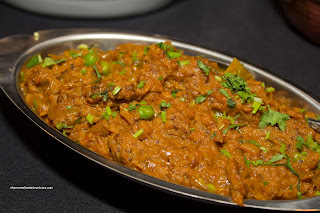 The lamb was again in large chunks except it was tender and not very gamy. Rich Guy commented that the flavours were balanced with a good amount of familiar Indian flavours, except it could've been more pronounced. Furthermore, the one thing that we noticed, as with the butter chicken was the lack of heat. We were given the option of mild, medium and spicy. We went for medium and it was felt more like mild (and Rich Guy doesn't like it too spicy either). I guess we needed to try spicy? So for those who like it hot, ask for spicy x 2. Lastly, we ordered a vegetarian dish since Rich Guy was bringing some back for Rich Gal. We decided on the Eggplant Bhurta, which surprisingly, was our favourite dish of the meal. Naturally, the eggplant cooked down and became a mush, yet it was a good mush in this case (if that makes sense). Combined with the peas, there was a natural sweetness that really went well with the spices. Again, we would've personally liked more heat though. Overall, the meal was pleasant enough and really, there is no other Indian restaurant nearby (except for The Bombay, which is in Poco).